Visualization of Technical Information Interactive Mind Map, Education. 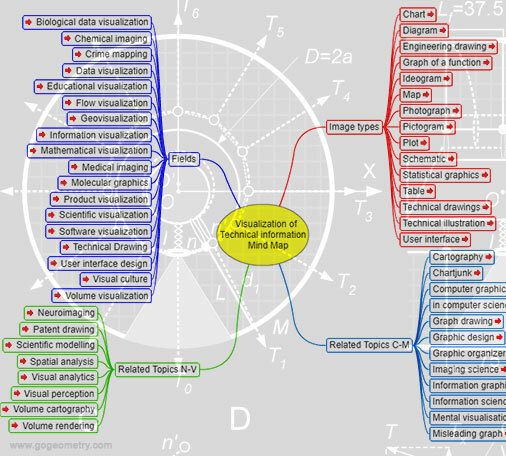 Interactive Mind Map that represents connections between various topics and concepts related to Visualization of Technical Information. Source: Wikipedia: Visualization. Visualization is any technique for creating images, diagrams, or animations to communicate a message. Read more.